Before coming to Worcester, I was very skeptical about getting a part-time job, as I knew I wanted to focus on my studies and I thought that having a job wouldn’t allow me to do that properly. However, after my first weeks at university, I realized I had a flexible program and decided that a part-time job was actually not a bad idea. That’s how I became a student ambassador for the university. Now, while having a part-time job means squeezing one more thing into my weekly schedule and not having as much time for myself, there are a lot of other benefits that come with it (besides the obvious paycheck). Work experience. 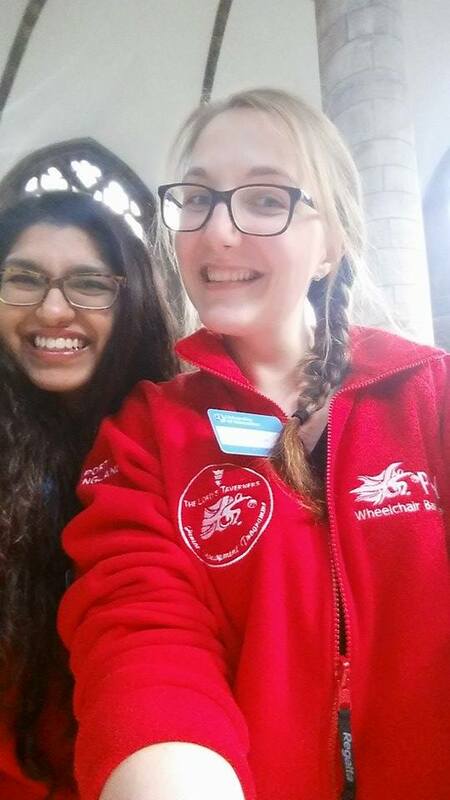 As a student ambassador, I get to help the University with different events, like Open Days or Applicant Days, carry out surveys, pack goodie bags, lead campus tours or be part of photo shoots (this is my favourite, haha). There is always something different to do, which means you are able to develop new skills that will look great on your CV. And you never get bored! Meeting new people. Whether I meet prospective students, who just want to visit the university or parents who want to ask questions about student life, being a student ambassador means being surrounded by people. Not to mention the other student ambassadors, who are not only my workmates, but also my friends, with whom I hang out and have lots of fun outside work. Flexibility. The best thing about being a student ambassador is that I don’t have set hours when I have to work. Instead, I can choose when and what job I want to do. That comes in handy when having a busy week or when preparing for an exam or assignment. It’s so much fun. At first, I was very scared not to say or do something stupid, but as time passed, I’ve become more relaxed and I can now say I enjoy every moment of my experience as a student ambassador. I work with great, funny people, with whom I probably wouldn’t have crossed paths if not for this job and I am very grateful for that. So this is it, folks! My first part-time job… Am I one step closer to independence? I’d like to believe so.